While New Jersey has relatively lower gas prices than its neighbors, improving your fuel economy can help you save more money, while reducing your carbon footprint. Here are some simple ways to boost your car's fuel efficiency and get more miles to the gallon. Speeding, stomping on the brakes, and accelerating too quickly all waste fuel. Break away from these habits to improve your vehicle's fuel efficiency. According to the U.S. Department of Energy, these bad habits can lower your gas mileage by 33% at highway speeds and by 5% around town. Stick to the speed limit and stay aware of your surroundings so you can coast to a stop. Not only will these best practices help you save money, but also they'll increase your safety. 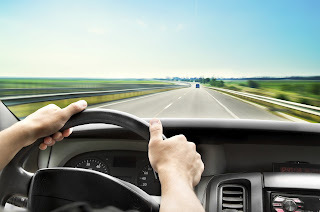 To avoid speeding on long trips, use cruise control. By maintaining a constant speed, cruise control can help you conserve gas when driving on the highway. Another habit to avoid is idling. Depending on your engine size and air conditioner, idling can waste a quarter to half a gallon of fuel per hour. Always turn your vehicle off when it's parked. On slow city streets, turning off the AC and rolling the windows down can help conserve fuel. However, when driving on the highway at faster speeds, roll your windows up. The aerodynamic drag caused by driving with the windows down at fast speeds lowers the fuel efficiency more than the AC. Regular vehicle maintenance is key to healthy car. For a fuel-efficient vehicle that operates at peak performance, you need to follow the maintenance schedule provided in your owner's manual. Old engine oil, worn spark plugs, and dirty air filters can impede fuel economy, so get them changed as required. Also make sure your tires are properly inflated. Under-inflated tires can reduce your mileage by 0.2% for every 1 PSI drop in the average pressure of all tires. Low tire pressure can also cause premature wear and poor handling. Refer to your owner's manual for the appropriate tire pressure. 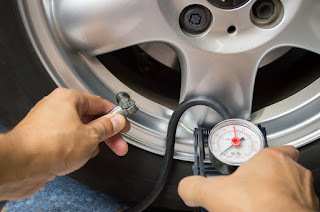 Check your tires at least once a month and re-inflate as needed. Keep in mind that the tire pressure decreases more rapidly in cold weather. Don’t drive around with dead weight, such as an empty roof rack or that pile of junk in your trunk. The heavier your load is, the harder your engine has to work, and the worse your fuel economy is. Remove things from your car that you don't use frequently. Your passengers, engine, and wallet will thank you. Make sure you are purchasing the right octane gasoline for your vehicle. The correct fuel can be found in your owner's manual. If your vehicle takes regular fuel, premium-grade gas won't improve your fuel economy. It'll only put a bigger hole in your pocket. When it's time to buy a new car, choose the most fuel-efficient option that suits your needs. The Department of Energy reports drivers can save up to $1,400 in fuel costs each year by simply choosing the right vehicle. A motorist who drives 15,000 miles a year at $2.15 a gallon will save nearly $2,700 with a vehicle that gets 30 MPG instead of 20 MPG. For a fuel-efficient vehicle that meets your needs, check out our New Jersey auto sales at Autoland in Springfield.